Starting a new business of your own is a huge deal. It is a big commitment. You might even consider it the culmination of your entire career. However, no matter how great your idea is or how good you are as a manager, there is no real guarantee that your company will have what it takes to succeed. Starting a new company is a substantial financial investment, and there are many challenges along the way. It can eat up all the money from your loan until you are forced to dip into personal savings. 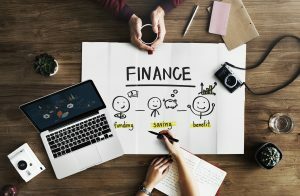 This situation can put your whole family in danger, which is why before you start any new business, you need to take these financial steps to protect yourself. Before you can save, you need to free up money from your budget. This is critical if you currently find it difficult to make it to the end of the month on your income. Starting your own business is a huge risk, and you need to get your personal budget in order and have a healthy savings account in order to pay for it and to support yourself during its proof of concept phase. There will be a lot of business expenses coming your way, and a lot of things you cannot pay for out of pocket. You need to prepare for this to ensure a smooth launch for your business. Build up your credit score first before paying for these costs to help you with budgeting and financing what you need. You never know when an unexpected bill, challenging situation or a turbulent period in your business will strike. Perhaps you cannot find clients in the first couple of months, or you need emergency repairs to your office or home. In these situations, it’s essential to have a pot of savings which you can access quickly. You should have enough to support you and your family entirely for at least six months. This way, you won’t have to give up on your business venture during the first few tumultuous months after your new company’s launch. Work on saving up your company’s reserves from day one. Only when you have these savings will you have what you need to pay the unexpected costs, and more importantly, reinvest when the time comes. There are a few ways that you can enjoy retirement. You can use your family home to bring in more money, rely on your social insurance contributions, pension plan, and personal savings. A guaranteed issue life insurance is also a great option. You could even choose a savings plan life insurance that allows you to treat it like a retirement savings plan until you pass on, in which case your family will receive a life insurance payout. With this, you and your family won’t have to worry, even if your business fails. Once you have the necessary savings, credit score rating, and have otherwise prepared yourself and your family as financially as possible, it will be time to finally get that business loan. Go in with a great business plan, great credit, and a history of smart money management and you should be able to get a great deal. Never underestimate the financial risk that comes with operating even a successful company. Improve your personal finances and revenue streams to help you, your family, and your business achieve the financial stability and security you need moving forward.